Donald Trump paid nearly $12.5 million to his own businesses and family members during his 18-month campaign for president, a CNN review of federal reports shows. The biggest beneficiary was Tag Air Inc., a Trump-owned company that operates his airplanes and was paid $8.7 million. The next biggest payment -- $2.2 million -- went to Trump Payroll Corp. and Trump Tower Commercial LLC. One campaign finance watchdog said no candidate had ever run so much of a campaign's spending through his own businesses. "I don't think we've ever seen one like this," said Larry Noble, general counsel of the Campaign Legal Center. The list of Trump businesses that were paid by the campaign is long. Trump's hotels and golf clubs received $1.4 million. Some $238,000 went to Trump restaurants and food services. His son's company, Eric Trump Wine Manufacturing, got $32,196. All of the money came directly from Trump's own campaign. And it's all legal. The campaign did not respond to CNN's request for comment. "If he did it legally and it was in the ordinary course of business, you have to say that he's allowed to do that," Noble said. "If he was doing it to make a profit off of it, and he charged more than he was supposed to have charged, then there is a problem." There is no evidence the Trump campaign did that. The reports show big and small ticket items. Mar-a-Lago, Trump's Palm Beach estate, got $423,371. Trump Ice, his bottled water company, got $2,085. Then there are Trump's restaurants in Trump Tower. 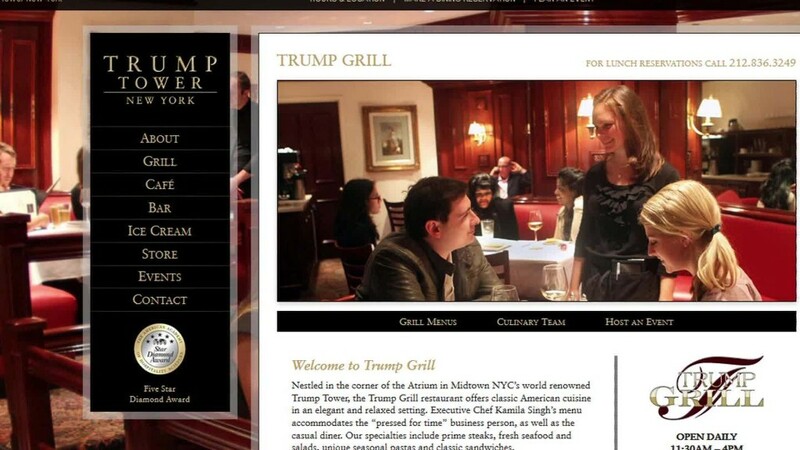 The campaign paid Trump Grill $607. Trump Cafe got $94. "The issue here, in part, was the scale at which it was done," Noble said. "He had these businesses. He could do it at such a tremendous scale."